The holiday season is winding down and before you know it all those beautiful decorations will be taken down and stored away until next year. All of the anticipation and excitement of the Christmas holiday and New Year’s Eve celebrations will be over and it will time to get back into your normal routines. For some people, the post-holiday transition back to normal schedules can cause them to feel let down, sad, or even slightly depressed. While some period of adjustment of a few weeks is normal, if these feelings extend beyond that period of time, it could potentially indicate a person is exhibiting signs of seasonal affective disorder (SAD). This type of disorder is a form of depression directly related to the change in seasons, with the vast majority of people experiencing SAD during the winter months, often after the holiday season. One of the more effective ways to address both post-holiday blues and SAD is with help from a licensed therapist in Toronto, like me, Ellen Starr. A desire to stay in bed. Sleeping for longer periods of time. A sense something is wrong. Experiencing certain feelings for no apparent reasons, such as anger, sadness, or hopelessness. Noticing problems with concentrating on various tasks. Problems falling asleep at night. Keep in mind you may only notice a few of these symptoms, while someone else could experience many more. In extreme cases, some people might have thoughts of dying or even start contemplating suicide. The key thing to remember is if these symptoms are occurring on a daily basis and tend to not lessen after a few weeks, then it is time to seek help to find out the underlying causes and develop effective methods for overcoming them. What Causes Post-Holiday Blues and SAD? There is no one specific cause for post-holiday blues and SAD. 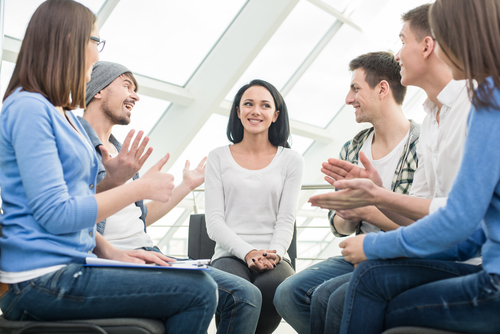 Each person can have their own set of causes which are better identified after talking to a Toronto therapist. The changes from the bright lights, sounds, and smells of the holiday season could be a trigger. In other cases, the colder winter months at the start of the year could be part of the problem. Furthermore, other types of medical conditions might increase the triggers that cause both post-holiday blues and SAD. Fortunately, you are not alone. Numerous people suffer from these conditions and have sought help from me. I offer a safe, caring, nurturing, and judgement-free environment, where you are able to talk openly and share your concerns. Together we will develop effective methods to help you address both post-holiday blues and SAD. To schedule a consultation appointment, call my office today at 416-488-3102.